A brawl broke out between two women after a two-car smash in Dundee on Monday. A woman suffered a head injury during a fight with another driver following a crash in Dundee. 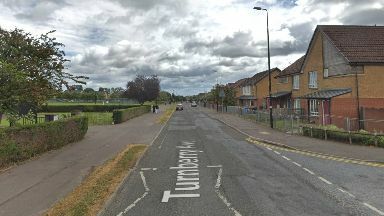 A brawl broke out between two women after a collision between a black Vauxhall Meriva and a black Ford MPV on Turnberry Avenue at around 4.30pm on Monday. Both drivers stopped at the junction with Americanmuir Road and Annandale Avenue before heated argument took place. The 66-year-old driver of the Vauxhall was then assaulted leaving her suffering a head injury. The driver of the Ford drove off northwards on Annandale Avenue and officers are keen to trace her. She is described as having long blonde hair, in her 30s and was wearing all black clothing. Partial registration of the Ford is ST11. Anyone with any information should contact Police Scotland on 101.